This page is for fan-created resources for use with Frag. 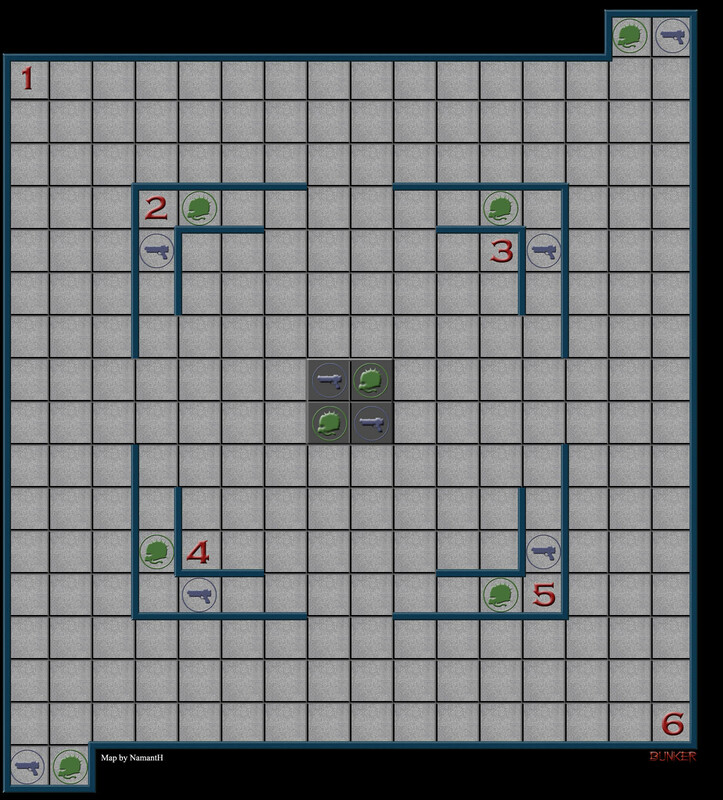 You can submit your own articles, rules variants, or maps to frag@sjgames.com. 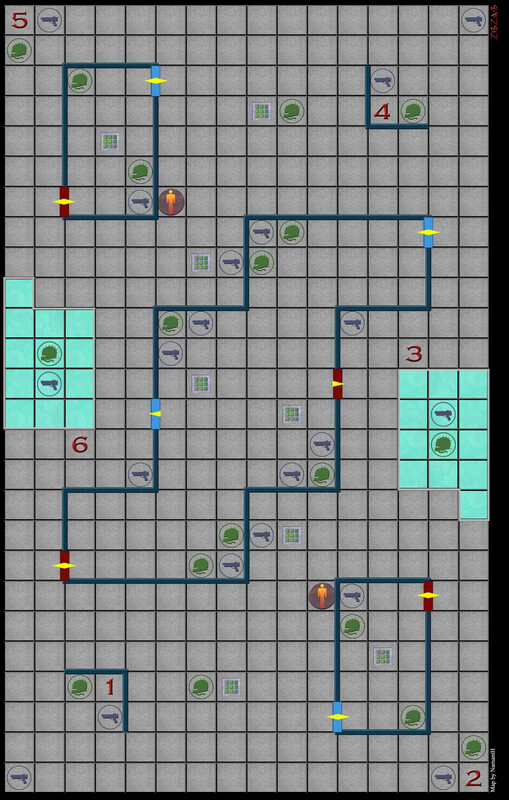 Factory (jpg or pdf), a map by Nicholas Anderson that includes a variant map element: conveyors. 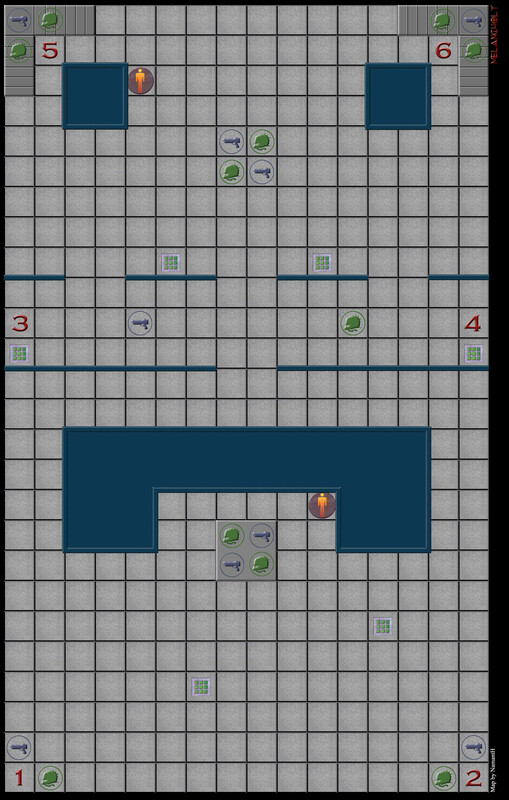 Additional graphics that can be used to add conveyors to existing maps are here and here. Laser Map (jpg or pdf), a map by Nicholas Anderson that includes a variant map element: lasers. 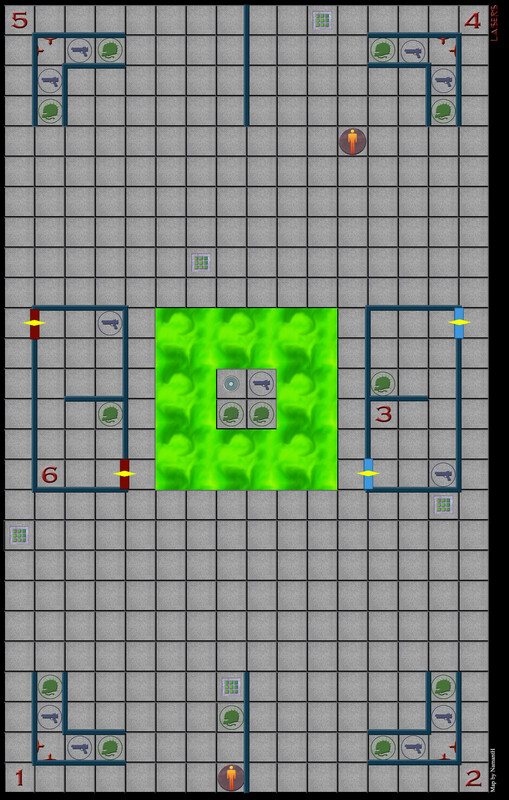 Bunker (jpg or pdf), a map by Nicholas Anderson that, in the words of the designer, is "A very simple map that should be fast playing and quick death". Melancholy (jpg or pdf), a map by Nicholas Anderson. 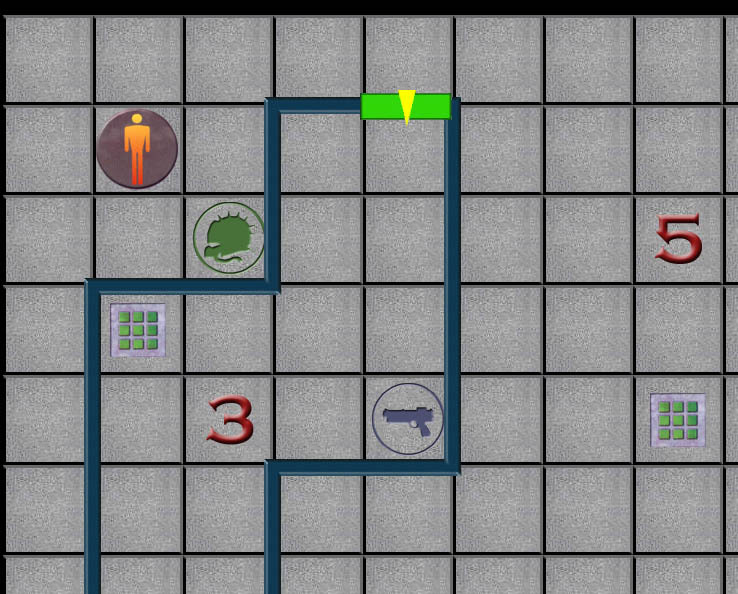 In two of the corners are stairs, which Nicholas recommends would need to be climbed to get the gadgets and weapons. Zig Zag (jpg or pdf), a map by Nicholas Anderson. Record sheet by Reverend Pee Kitty of the Order Malkavian-Dobbsian.